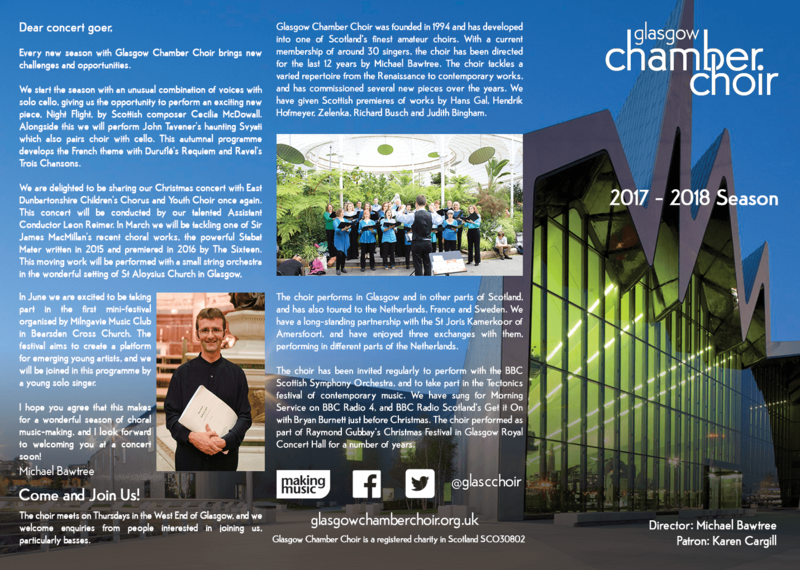 2017 – 2018 Season Brochure published! Home/Uncategorized/2017 – 2018 Season Brochure published! Our wonderful new season brochure has arrived! 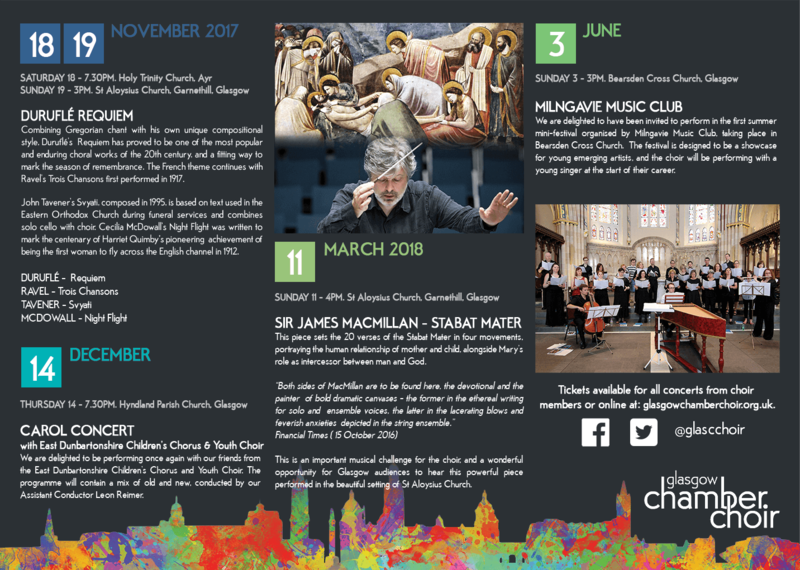 Every new season with Glasgow Chamber Choir brings new challenges and opportunities. We start the season with an unusual combination of voices with solo cello, giving us the opportunity to perform an exciting new piece, Night Flight, by Scottish composer Cecilia McDowall. Alongside this we will perform John Tavener’s haunting Svyati which also pairs choir with cello. This autumnal programme develops the French theme with Duruflé’s Requiem and Ravel’s Trois Chansons. In June we are excited to be taking part in the first mini-festival organised by Milngavie Music Club in Bearsden Cross Church. The festival aims to create a platform for emerging young artists, and we will be joined in this programme by a young solo singer. I hope you agree that this makes for a wonderful season of choral music-making, and look forward to welcoming you at a concert soon!